Lean Six Sigma Team Members Training in Atlanta, Dallas – What are Lean Principles? Posted on Monday, July 7th, 2014 at 6:20 am. Lean Six Sigma is a set of various methodologies that are used for process improvement, process management, lowering of costs, etc. Gaining basic knowledge of Lean Six Sigma is simple with Lean Six Sigma Team Members Training Course offered by pdtraining in Atlanta, Dallas and other cities in the U.S. Lean uses various principles to reduce waste caused by errors. It identifies, eliminates and prevents waste from happening by using a set of methodologies. Here are three methodologies that are used by companies worldwide to substantially reduce waste. By using these five rules, companies are able to achieve better quality and enhanced productivity. Other phases that are sometimes included with these five rules are safety, security and satisfaction. Poka-yoke is a Japanese term that can be translated as ‘preventing mistakes’ or ‘mistake proofing’. Poka-yoke uses designing to prevent errors from happening. Usually, the designing is very simple. A simple example of poka-yoke is an ethernet cable plug that is designed to be plugged only in one direction. Due to its design, it is impossible to make a mistake in plugging it in. That is how poka-yoke prevents errors from happening. Today, poka-yoke has been expanded into behavior-shaping constraints that do not allow a person to make a mistake or alerts a person in case an error is about to happen. For example, many cars do not start if the people seated do not have their seat belts on. Some cars use sound alerts to inform the driver about the proximity of an object at the back when reversing. Poka-yoke is widely used all around the world in both small and large machines. It helps customers to avoid making mistakes in using machines, and it helps companies to avoid fixing problems that they can prevent from happening in the first place. What are the Seven Types of Wastes Under Lean? 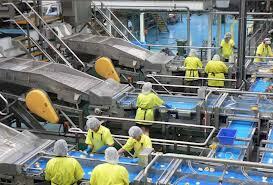 Lean processes are applied to these areas to achieve reduction in costs and smoothness in operations. Lean is often used with Six Sigma to achieve process improvement while reducing waste. Using Lean Six Sigma, companies are able to produce better-quality products/services at lower costs. That helps them to gain an edge over competitors. All public Lean Six Sigma Team Members Training courses include am/pm tea, lunch, printed courseware and a certificate of completion. Customized courses are available upon request, so please contact pdtraining on 855 334 6700 to learn more.